It’s been so gloomy around here lately, the streetlights have been staying on all day and the snow keeps floating down little by little. Yesterday I went over to Wicker Park to meet my friend so we could stop by the yarn store and other post-christmas errands, and I took a few photos of my neighborhood on the way to my train stop. I love the Nealey Foods lettering down the side of their building. I have no idea what kind of food the are packing in there, I never end up close enough to the trucks. 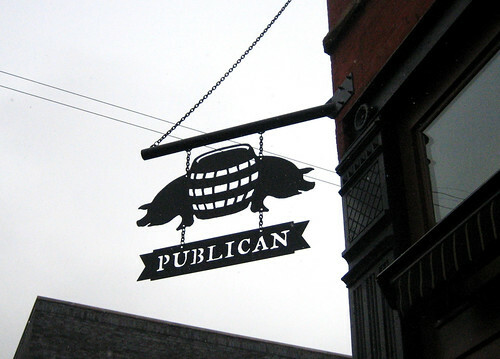 Here’s Publican, they have an excellent sign and renovated the most amazing building. Luke and I can be found here with friends more than we’d like to admit. 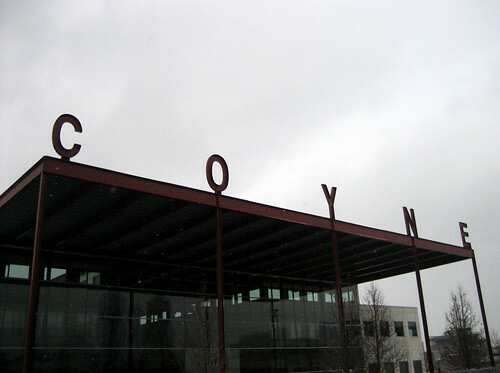 Coyne is another one of my favorites. We believe it to be some sort of trade or technical school, but it took us about 7 years to figure that out. I love the lettering and the building though. 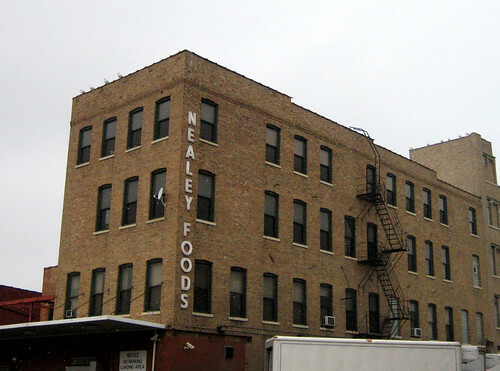 It’s fun walking around my neighborhood because it’s not a regular neighborhood, we live one block off of the Fulton Market area, which is where all the meat and food for the city comes into the city. Once, walking to work, I found a full pig leg on the sidewalk. True story.